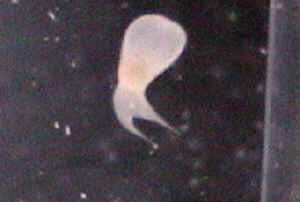 Tubiculous (tube-building) polychaete worms... some can be tiny. N. Sulawesi pic. Hitchhiker ID Here's one of the attachments, the three jpegs together are 591K. <Got it! Is some sort of polypoid animal... Anthozoan, likely an anemone species of some sort> You can't tell from the photo, but these polyps are really small, the largest is about 1/4 inch. The ones in this photo have spread from a zoanthid frag. 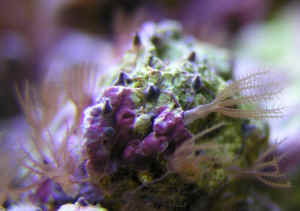 They seem to be stinging the Zo polyps on that frag because the zoanthids are closed most of the time. <Maybe because of this organism... I would try to isolate, remove them... perhaps with the help of the same organisms employed to eradicate Aiptasia> Thanks so much! <Good luck and thank you for sharing. Bob Fenner> > <Images not loading. Can you resend as attachments? 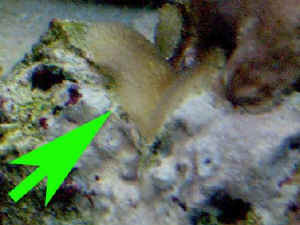 Bob Fenner> > Can you ID these polyps? 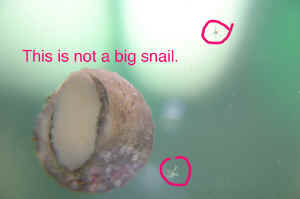 They are small (about the size of GSP), > brown, > and translucent, rather like Aiptasia. 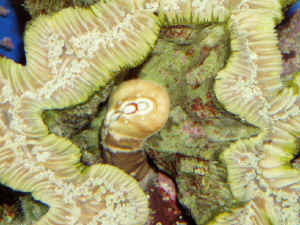 Each polyp has eight feathery > tentacles. 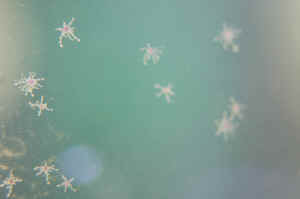 They resemble green star polyps, but they don't appear to > have a sheath, and are not joined by stolons. It looks like each is > attached to the rock individually. > I'm worried because they've rapidly spread to the main rockwork in > one > tank. 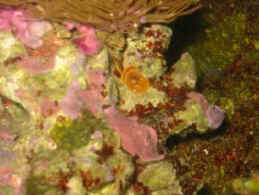 They hitchhike on various corals and frags. All our tanks have > them.